We’d like to start this post by wishing all of our US readers a very Happy Thanksgiving! Assuming you’re going to be too hungover and/or full of turkey to move tomorrow, we figured you’d prefer to do your Black Friday shopping from the comfort of your own home. With that in mind, we’ve gone on the hunt for the best Black Friday deals on PC, PS3 and XBOX gaming headsets. In the PC category, we have the Logitech G930 with 7.1 Dolby Surround Sound. With a list price of $159.99 you can save almost 60% on Black Friday, with the headset going for $69.99 including free shipping. The Logitech G930 is a gaming-grade wireless headset with a range of up to 40 ft (although we know you all sit 60 cm from your screen!!). Featuring include full 7.1 Dolby Surround Sound, three programmable “G-keys”, voice morphing features and a noise-cancelling boom mic. XBOX gamers should take a look at the Ear Force XP500: a special edition of the popular Turtle Beach PX5 range of surround sound headsets. If you order now you can save $50 on the retail price but Amazon are running a short term price drop during Black Friday with up to 70% off RRP! The XP500 allows you to store 18 (yes, eighteen) customised sound profiles, allowing you to experience games the way you want to. Whether you want to hone in on the sound of enemy footsteps or listen out for the sound of a weapon reloading, the XP500 has a setting for you. It also features dual band bluetooth so you can take calls on your cell phone or listen to music whilst gaming. The Turtle Beach Ear Force XP400 is currently listed with $40 off, although you can expect a bigger price drop on Black Friday. All orders qualify for free super saver shipping. 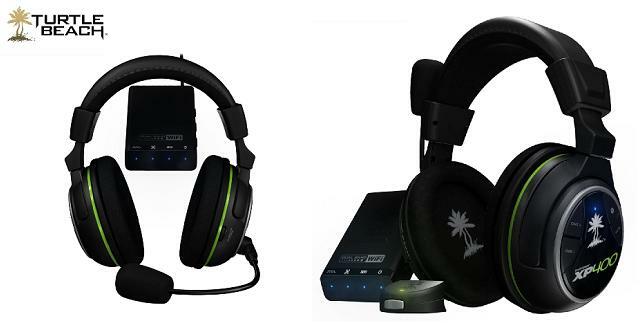 The XP400 is compatible with the PS3 & XBOX and offers a wireless dolby surround sound gaming experience. In addition, this headset comes with dual bluetooth functionality, which allows you to continue gaming whilst taking calls on your cell phone. Expect another post from us over the weekend, bringing you the very best Cyber Monday deals on gaming headsets.